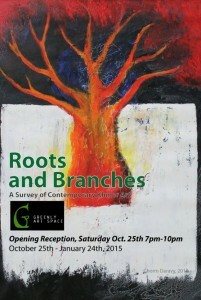 The exhibition opening will be 7 to 10 p.m., October 25. The show will run from Oct. 25, 2014 through Jan. 24, 2015. After the opening, the exhibit will be available for free public viewing Mondays, Wednesdays, and Fridays from 11 a.m. to 2 p.m. or by appointment by calling (562) 533-4020. Artwork for the show was curated by Kimberly Hocking (Greenly Director), Mao Soviet (artist and director of Make Maek Art Gallery in Battambang, Cambodia) and Tim Robertson (an American visual artist who spent the past five years working in Cambodia), according to the Greenly Art Space Facebook page, which announces the exhibit. Cambodia’s story has been a turbulent one stretching back over the past 50 years. The late 1960s through the ’80s were characterized by civil war, mass murder and displacement.